Our very first album, exhibition : 2016, was released at the conclusion of the 2015-2016 school year. We are the composers of Harvard. Dedicated to the promotion of music composition at Harvard, the Harvard Composers Association offers a forum for Harvard's undergraduate composers to exchange ideas and share their passion for the creation of new music. We welcome composers of all backgrounds and styles, and our concerts present rich, diverse musical palettes for our composers to present their works. One recent project, the HCA Album, seeks to present even more of our music to an even wider audience. In April 2017, we presented our first-ever HCA Arts First Concert at Harvard’s 25th annual undergraduate arts festival. Missed us last time? Our next meeting is scheduled for Monday, September 10th, at 8 pm in Room 112 of Sever Hall. Optional but encouraged: Bring a score and/or recording to share! 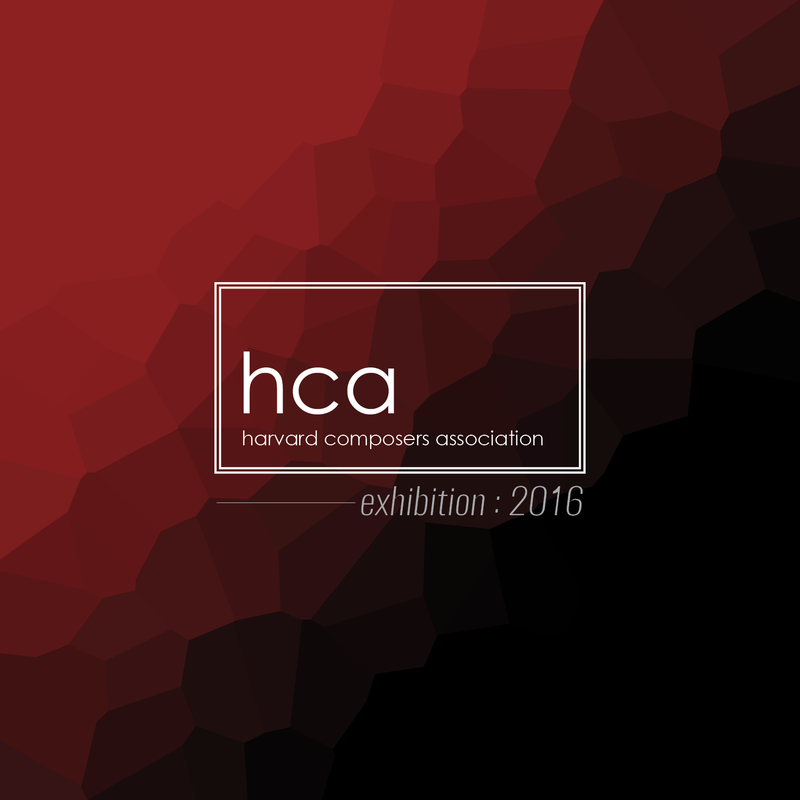 ﻿﻿﻿﻿﻿Learn more about the mission of the Harvard Composers Association. Hear about our upcoming events and meetings. Listen to the compositions featured on our inaugural album, exhibition : 2016​.